As an animal behaviourist I am often asked which is the best way to train a dog? My reply is simple if you were learning a new behaviour would you want to be punished for getting it wrong or rewarded for getting it right? There are many different tools used by dog trainers to change a dog’s behaviour. There are those tools that punish the dog and those that reward. Some achieve this by adding (positive) something and others by taking (negative) something away. Let me explain what I mean by this by using some examples. 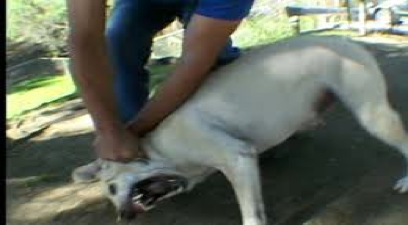 These aversive tools include hitting your dog, spraying with citronella or water, shaking a can of stones, jabbing your dog in the ribs, throwing discs onto the floor, alpha rolling it and using a choke, prong, pinch or shock collar. Negative punishment: Taking something pleasant away to stop or reduce unwanted behaviour. Such as taking away a treat, time out or walking away from your dog. Positive reinforcement: Adding something pleasant to encourage wanted behaviour. 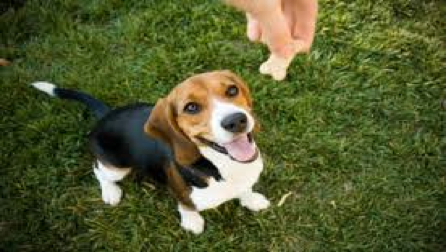 Such as offering a food treat, a toy, fuss and praise so your dog is more likely to repeat the wanted behaviour. Negative reinforcement: Removing an unpleasant (aversive) experience to encourage wanted behaviour. These include pressure head-collars. 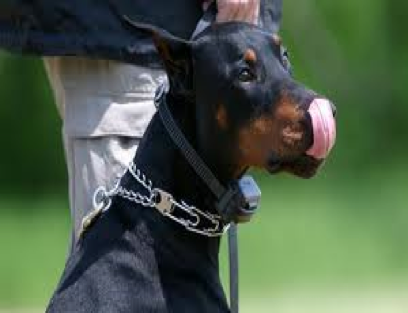 The dog experiences an unpleasant (aversive) feeling such as pressure on the nose, which is removed when the dog is showing calmer behaviour such as not pulling. Some of these collars also put painful pressure high up on the soft parts of the dog’s throat. 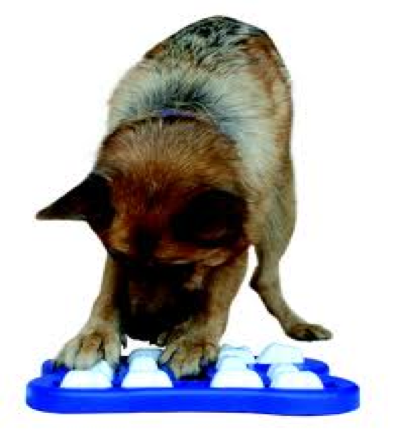 So which training tools are best for your dog those that reward or those that punish? The problem with using aversive tools is that they tend to mask the behaviour in the short term. The unwanted behaviour may stop for a while because the dog is frightened but their continued use may worsen the problem in the long run. For instance, if your dog is barking at another dog because it is feeling frightened then choking it with a choke chain or zapping it with an electric shock is not going to make your dog feel less afraid. In fact it is going to make your dog feel even more frightened and may cause it to fight back especially if there is nowhere left to run or to hide. There is also a chance that your dog might associate the pain with something or someone that it close by. If that someone is a child then we have inadvertently caused the dog to become fearful and possibly show aggression towards children. A much kinder way to stop your dog barking at other dogs is to change its mind about how it is feeling and make it a more pleasant emotional experience. We begin at a distance at which your dog doesn’t bark and begin to make being around dogs’ fun. Using very small steps and only when your dog is able to cope we gradually move nearer and nearer. It is not a quick fix and takes commitment but it is kinder and more effective in the long run. There are trainers in Jersey who have a very good understanding of dog behaviour and use these modern and kinder methods to modify your dog’s behaviour. So how do you find them? I have compiled the following tick list for you to follow. Does the trainer allow you to sit in and watch the training classes before you bring your dog along? Is the trainer polite and friendly and have they asked you to fill in a questionnaire regarding your dog’s details and history? Has your trainer any dog training qualifications and are they a member of a recognised dog-training organisation? Is your trainer adequately insured and registered? Has your trainer come highly recommended? Are the dogs in the class happy? Are their tails wagging, their mouths loose and smiley and is their tongue lolloping about? Is your trainer using praise, treats or toys to reward the dogs for good behaviour? Do the owners look as if they are enjoying themselves? If you have ticked these boxes then book yourselves in and enjoy the experience. Is the trainer abrupt and a bit scary? Are the dogs looking worried? For instance are they flicking their tongues and licking the tip of their noses or yawning a lot? Are their ears flattened and are their tails tucked between their legs? Do the owners look a bit worried, confused or bored? Do the training tools used consist of choke (check) chains, prong, pinch or electronic, Illusion or Gencon collars, training discs, rattle cans or squirty water bottles and is there a lot of shouting and yanking of leads going on? Does the trainer insist that you should dominate your the dog and behave like a pack leader?